Thousands of injuries happen in the workplace every year. Protect yourself and your workers by posting this First Aid & Safety Reference Guide by Poster Compliance Center. You could end up saving a life. You’ll want to display safety posters in heavily trafficked areas or areas where injuries are likely to occur. This important first aid poster discusses steps to take (or not take) for common first aid and safety situations like: bleeding, shock, poisoning, sprains and strains, eye injury, convulsions and seizures, heat exhaustion, fractures and dislocations, heart attack or stroke, fainting, adult CPR, and much more. 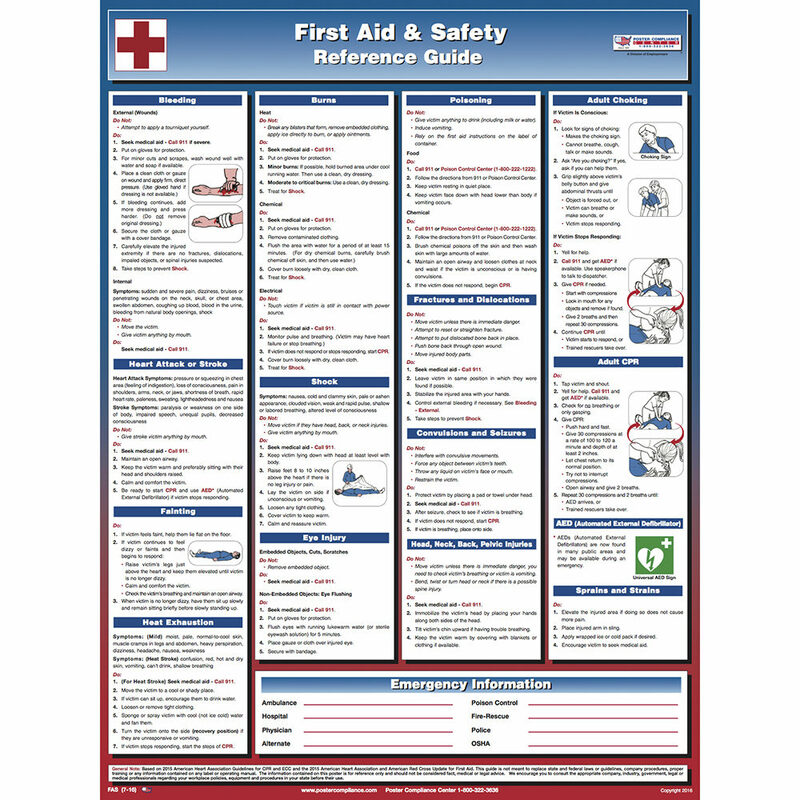 The First Aid & Safety Reference Guide poster also contains an emergency contact information section. Based on the latest (2015) American Heart Association Guidelines for CPR and ECC and the 2015 American Heart Association and American Red Cross Update for First Aid.